Aircraft linked together in flight is a common occurrence. For decades the idea linking aircraft together has resulted in many successes and some crazy concepts. Some concepts haven’t gotten past the concept stage. Some concepts beg the question of how it got past the concept stage. Air Forces throughout the world link aircraft together for aerial refueling. Many flight records were made with the record breaking aircraft being launched from a mother ship. Flying aircraft carriers isn’t just in Science Fiction movies. In 1928 Belgium kept an aircraft airborne for 60 hours and 7 minutes with aerial refueling. This set an endurance record. On January 1, 1929 a Fokker C-2 named “Question Mark” took off. 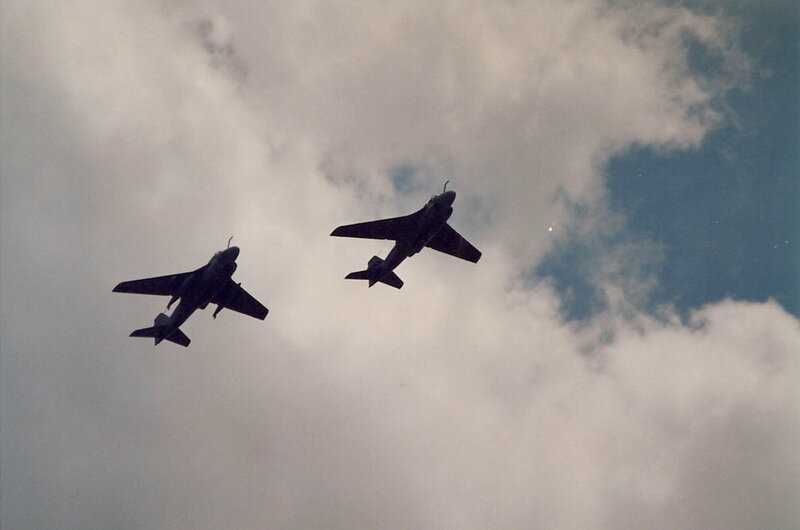 Two Douglas C-1s refueled the Question Mark in flight. The Question Mark stayed in the air until January 7. 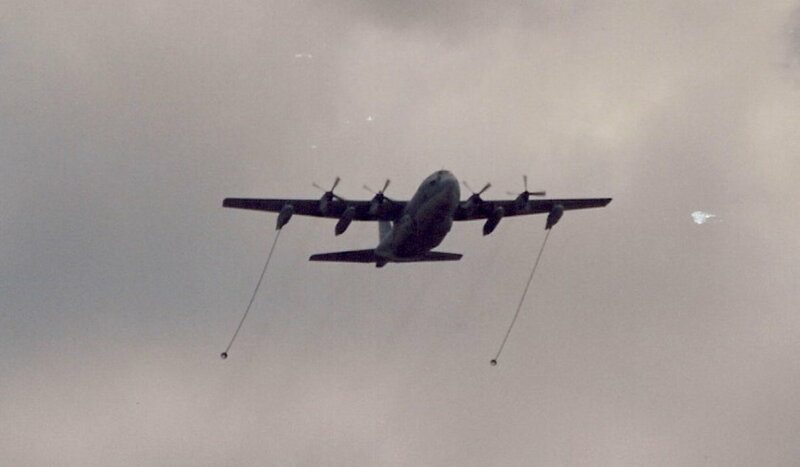 During the flight it made 43 contacts with the refueling aircraft and received 5,700 gallons (21,577 liters) of fuel. The Army Air Corps attempted a formal demonstration in the spring of 1929. Icing caused the tanker plane to make an emergency landing. The aircraft got stuck in the mud. The U.S. Army Department ended the program and shelved air refueling for 12 years. Two commercial pilots broke the Question Mark’s record on May 26, 1929 by keeping a Ryan Brougham airborne for 172 hours and 32 minutes. [iii] Other private efforts extended the endurance record. 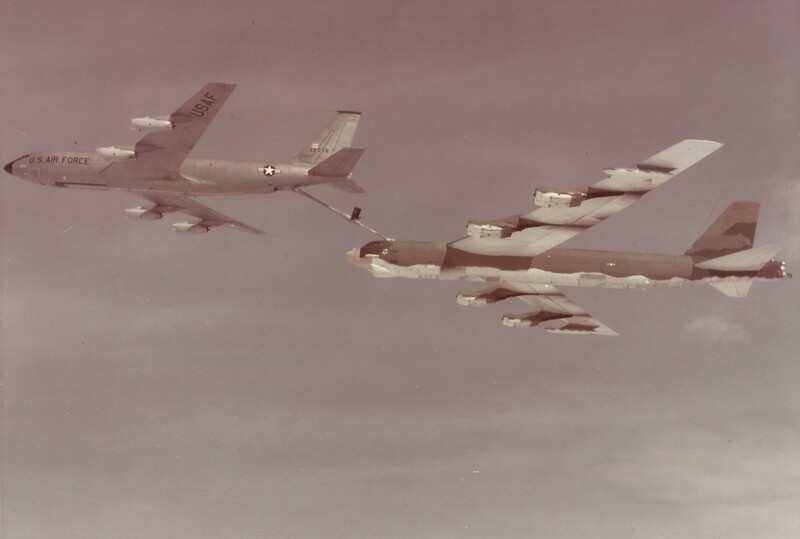 In the Vietnam Conflict the U.S. showed aerial refueling was not just to increase an aircraft’s range but to increase its bombload. 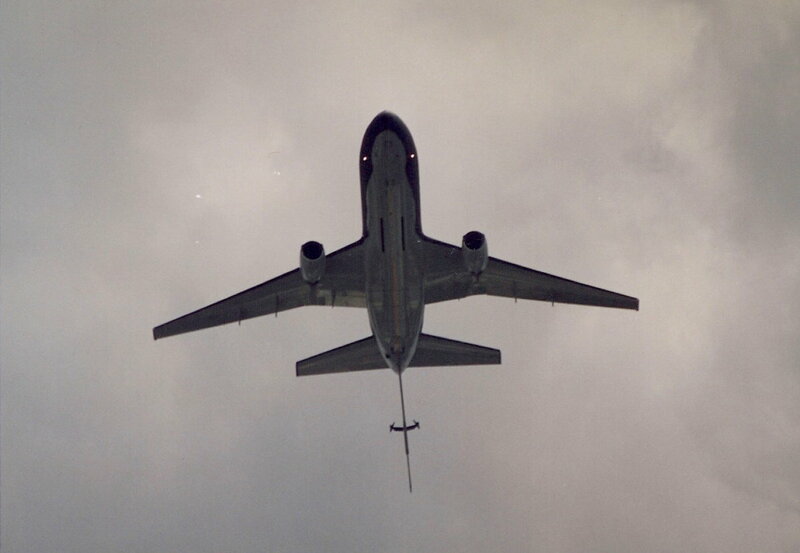 An aircraft can carry more weight when it’s flying than when it’s taking off. 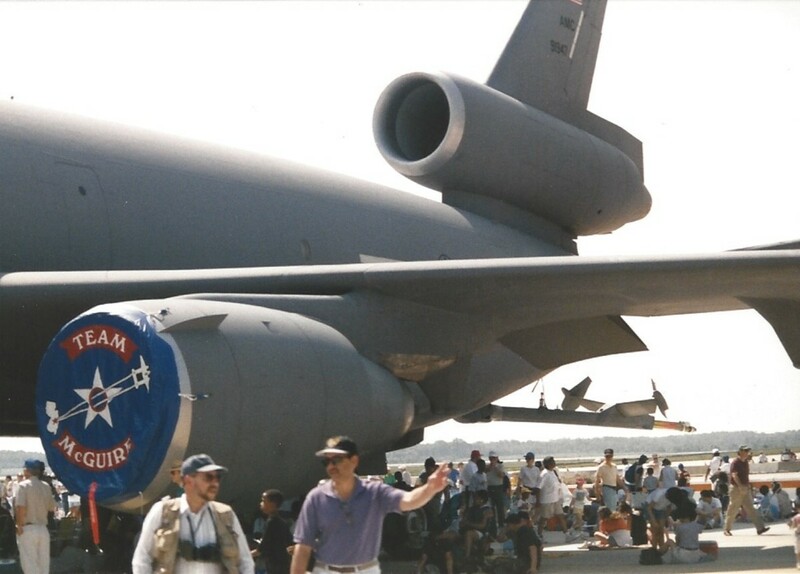 With aerial refueling an aircraft could carry more bombs and minimal fuel when taking off. Then the aircraft can fill up its tanks in the air and complete its mission. The U.S. used this method often during the conflict. 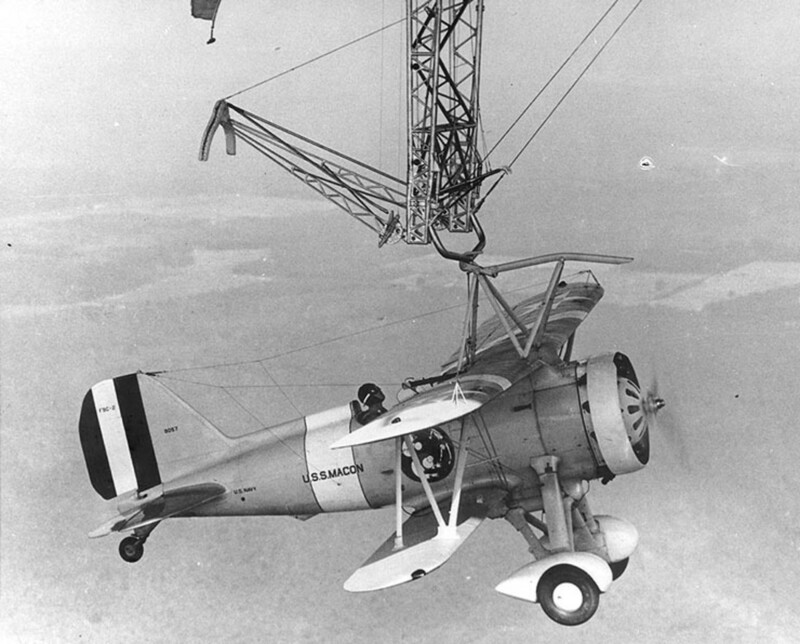 [i] The first air-to-air refueling occurred on November 2, 1921. 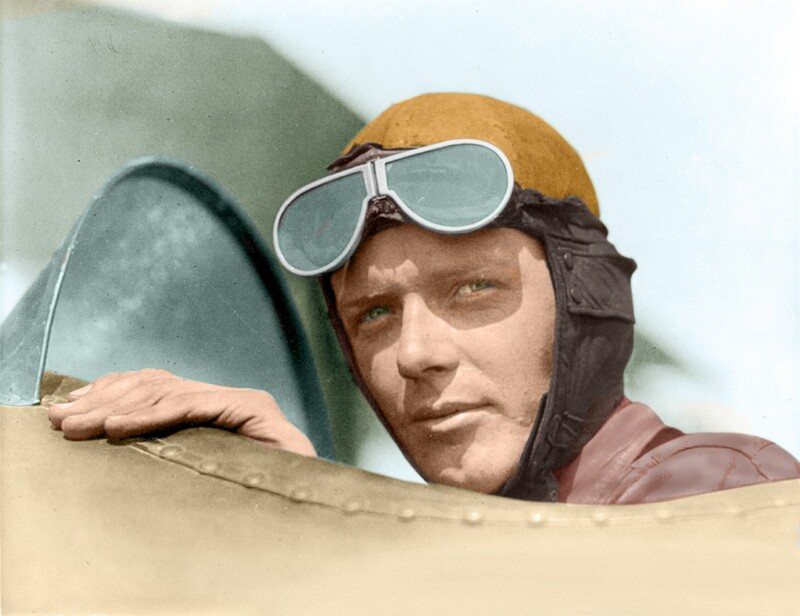 Wing Walker Wesley May climbed from the wing of one aircraft to the wing of another. He had a 5-gallon can of gasoline with him. 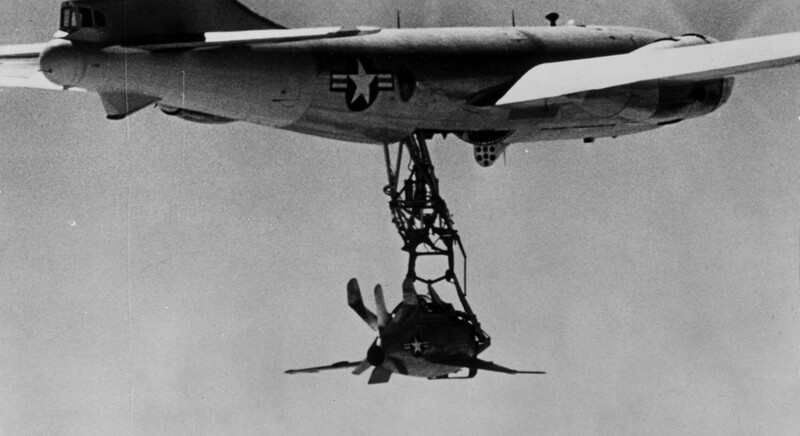 Mental Floss, The Amazing History of Air Refueling, (http://mentalfloss.com/article/71199/history-air-refueling), last accessed 4/21/2018. [ii] Flight of the ‘Question Mark’, by Ellery D. Eallwork, December 24, 2008, http://www.af.mil/News/Features/Display/Article/143226/flight-of-the-question-mark/, last accessed 4/18/18. [iii] Flight of the ‘Question Mark’, by Ellery D. Eallwork, December 24, 2008, http://www.af.mil/News/Features/Display/Article/143226/flight-of-the-question-mark/, last accessed 4/18/18. [iv] Worldpress, Air Refueling Archive, https://airrefuelingarchive.wordpress.com/tag/history, last accessed 4/21/2018. [v] Worldpress, Air Refueling Archive, https://airrefuelingarchive.wordpress.com/tag/history, last accessed 4/21/2018. [vi] Daily Mail, Touchdown: B-2 stealth jets return after epic, 11,500 mile journey to bomb Libyan aircraft shelters, by Richard Hartley-Parkinson, March 21, 2011. (http://www.dailymail.co.uk/news/article-1368337/Libya-crisis-B2-stealth-bombers-25-hour-flight-Missouri-Tripoli.html), last accessed 4/21/2018. Aircraft attached together is another common occurrence. 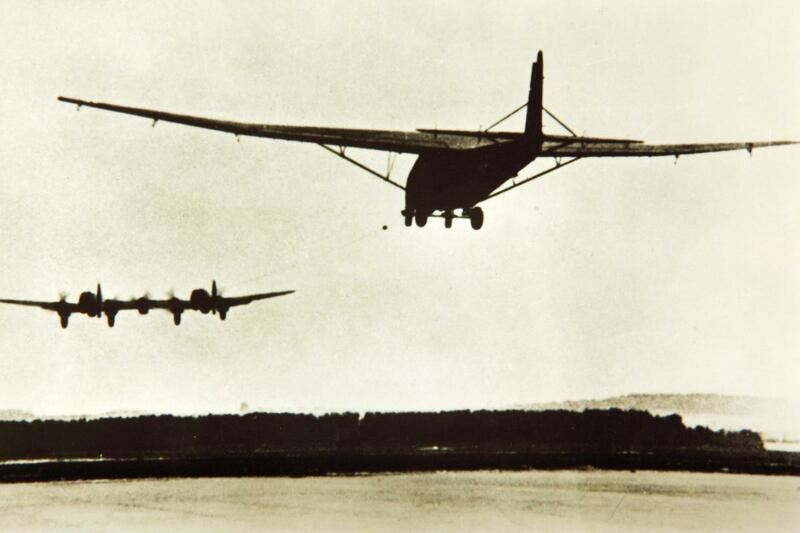 During World War II the most used example was glider towing. An aircraft would tow a glider behind it. When the glider neared its landing area the glider pilot would release the tow cable and land the glider. Most of the major airborne operations during World War II involved gliders as well as paratroopers. Gliders were also used in special operations such as the rescue of Italian dictator Benito Mussolini. In June 1944 the Germans began their V-1 attacks on Great Britain. Among the V-1’s deficiencies were its range, about 150 miles (250 km), and its launch ramps. The launch ramps could be seen and destroyed. Starting from July 1944 He-111s, carrying V-1s, would launch the V-1s while airborne. 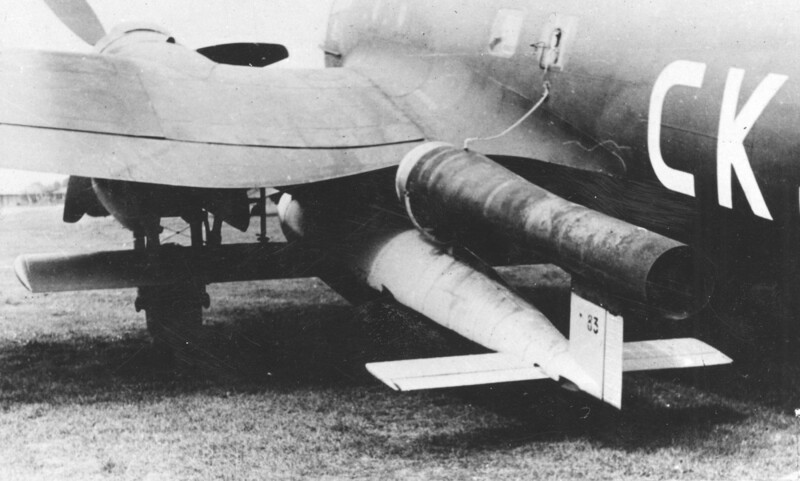 Air launched V-1s could strike targets outside the range of ground launched V-1s. Japanese aircraft launched Ohka Kamikaze aircraft from bombers. After the bomber released the Ohka the Ohka pilot would switch on the rocket engine and try to crash into an Allied ship. 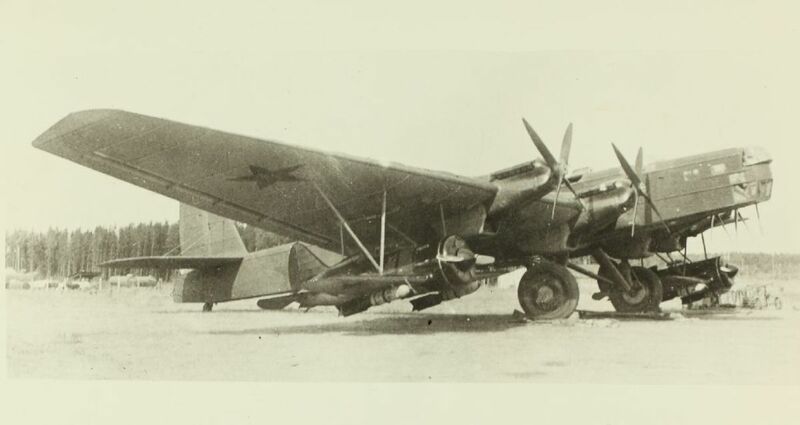 The air launched V-1 and Ohka aircraft were the predecessors of the modern Air Launched Cruise Missiles. During World War II the Germans developed a system appropriately called Huckepack (Piggyback). This involved a system where a single seat fighter was mated to a bomber laden with explosives. The bomber component was named Mistel (Mistletoe). The pilot, who was in the fighter, would fly to the target. The pilot would release the Mistel and return to base. The first use of this system was against the Allied fleet during the Battle of Normandy. They were later used in attacks against bridges to slow the Soviet advance. Mistel attacks had little success. After World War II the U.S. released aircraft from other aircraft to set many flight records. On October 14, 1947, then Captain Charles E. “Chuck” Yeager, stepped into a Bell X-1 inside a B-29. The B-29 launched the Bell X-1. 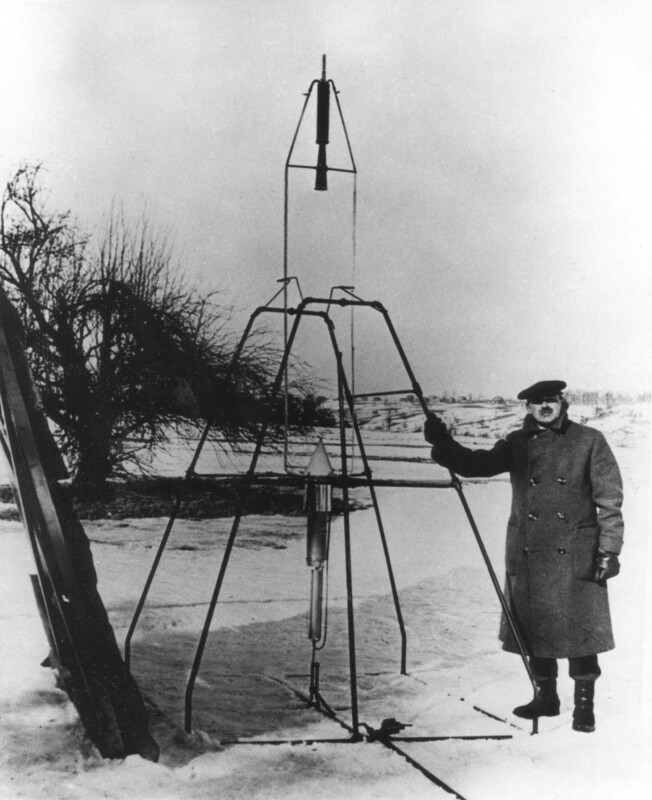 Chuck Yeager then started the rocket engine and became the first human to break the sound barrier. The X-15 was another aircraft launched from a mother ship. 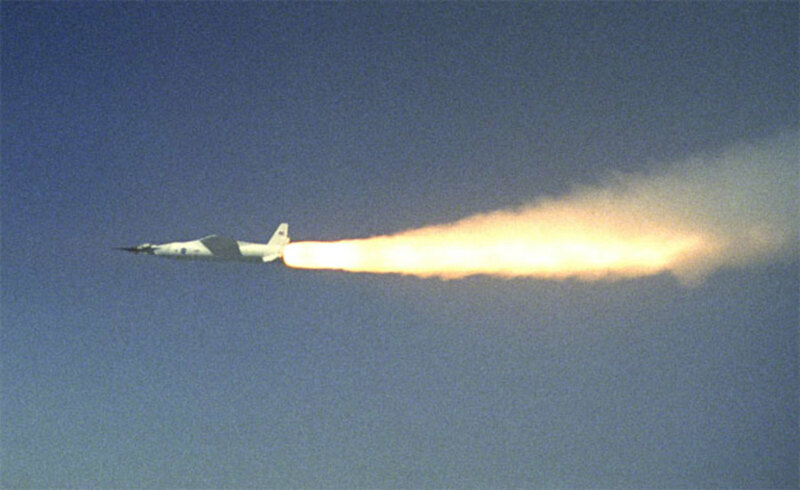 The X-15 was a hypersonic rocket-powered aircraft. The X-15 still holds the record for a human, powered aircraft. The October 1967 record is Mach 6.72 and set by William J. Knight. 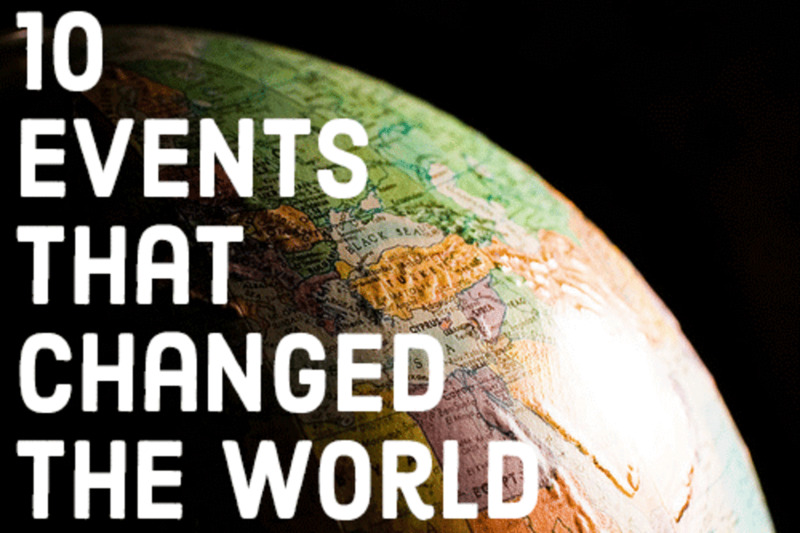 NASA made 13 astronaut flights in the X-15. Eight X-15 pilots earned their astronaut wings flying the X-15. NASA used a piggyback system for the space shuttle. 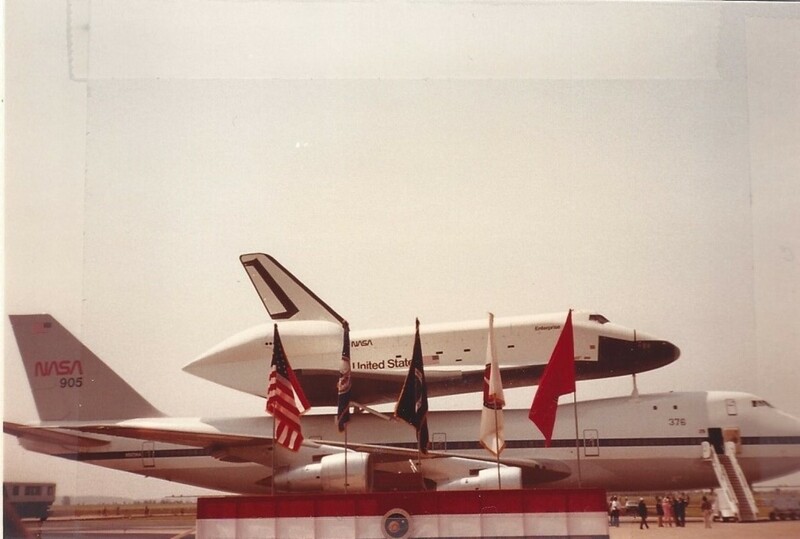 They mated the Space Transportation System (STS) Enterprise on the back of a Boeing 747. 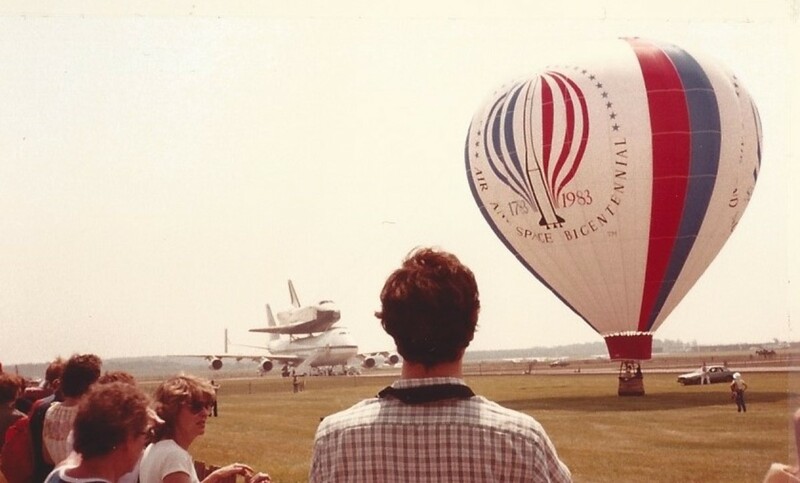 NASA used the Enterprise for unpowered test flights. The Enterprise would separate from the Boeing 747 then the Enterprise crew would make a “dead stick” landing. 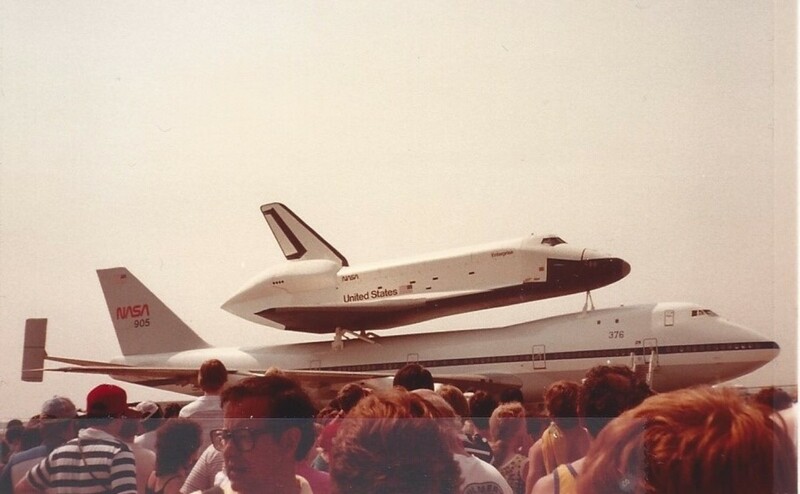 NASA used this piggyback system to shuttle Columbia and later space shuttles to Florida. 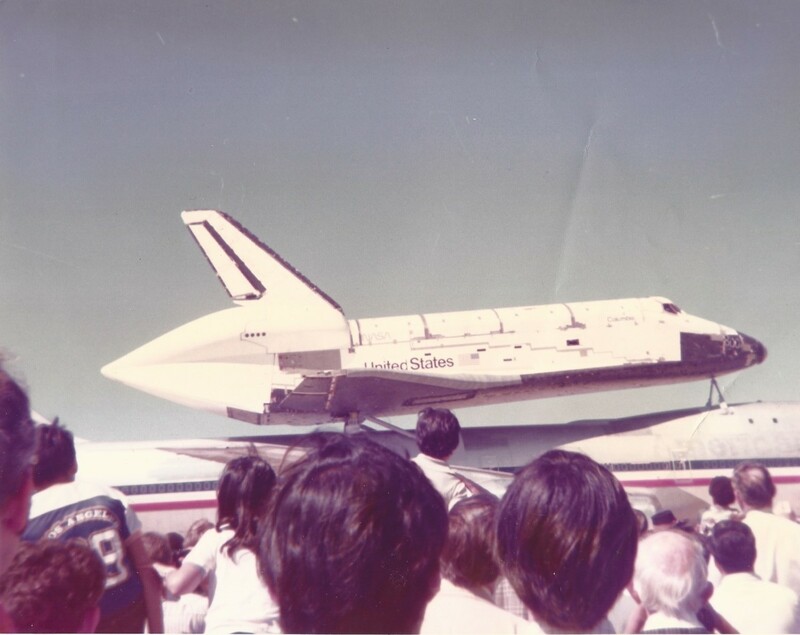 During the first few STS flights the landing site was in California so the Boeing 747 would fly the shuttle from California to Florida. 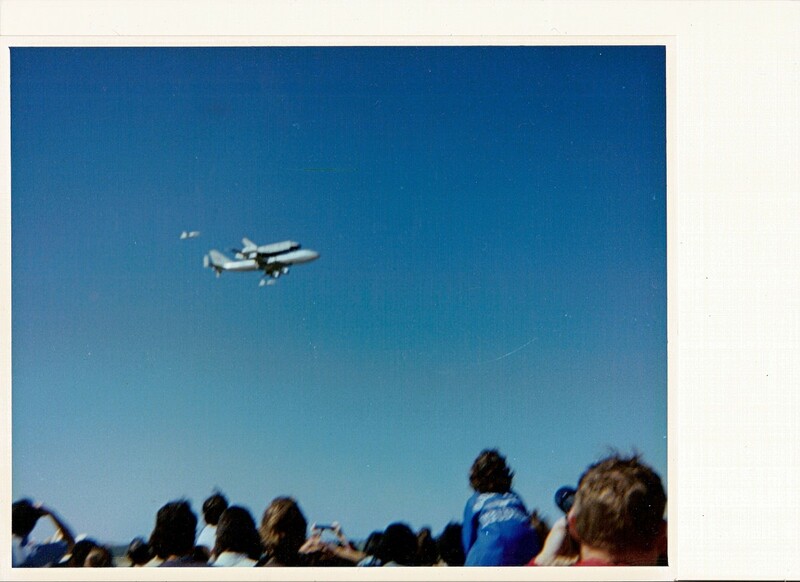 The final piggyback flights for the Space Shuttles was to fly them to museums. 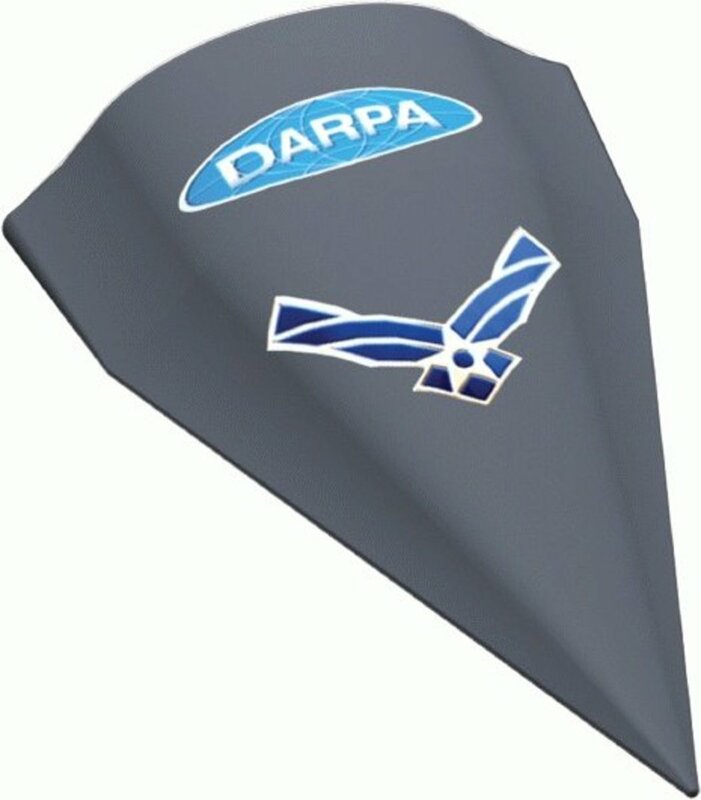 [i] Lockheed D-21 Air Launched Drone, (http://www.wvi.com/~sr71webmaster/d21~1.htm), last accessed 4/22/2018. The airship USS Akron was the first flying aircraft carrier. On May 3, 1932 the Akron had two parasite aircraft, a Consolidated N2Y trainer and a Curtis XF9C-1 Sparrow, attached to it. Lieutenants Daniel W. Harrigan and Howard L. Young flew these aircraft from the Akron and then reattached them to the Akron. The USS Akron crashed on April 3, 1933. There were only three survivors. The USS Akron’s sister ship, the USS Macon, made its maiden flight three weeks later. 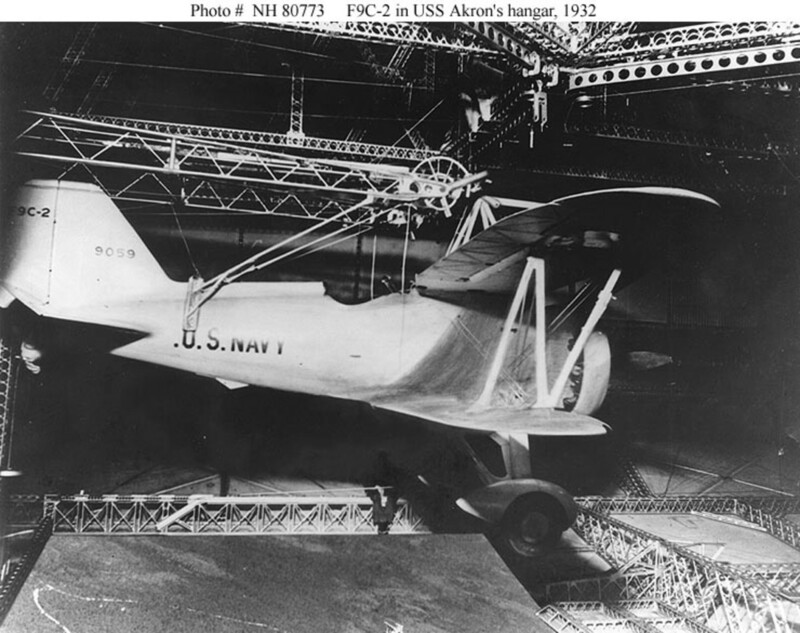 The USS Macon also had parasite aircraft. The aircraft’s squadron’s symbol was a man on the flying trapeze. 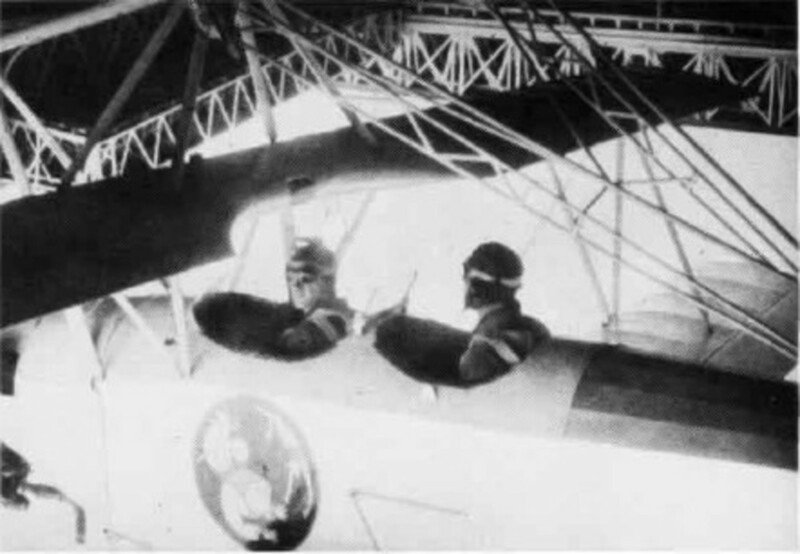 The Macon commanders developed doctrine and techniques for using its airplanes in military operations. The Macon crashed on February 12, 1935. Radioman 1st Class Ernest Edwin Dailey and Mess Attendant 1st Class Florentino Edquiba died in the incident. This ended the U.S. Navy’s rigid airship program and their flying aircraft carriers. Airborne recovery required a skilled pilot even under ideal circumstances. With 30 minutes endurance its effectiveness as a fighter was limited. The cost of refining the design to eliminate the Goblin’s numerous problems made it impractical to proceed. On the civilian side there was also a concept for flying airport terminals. This hasn’t gotten past the concept stage. [i] Revolvy.com, Tupolev TB-3, (https://www.revolvy.com/main/index.php?s=Tupolev%20TB-3&item_type=topic), last accessed 4/22/2018. [ii] U.S. Fighters: Army – Air Force 1925 to 1980s, by Lloyd S. Jones, Aero Publishers © 1975. [iii] Tils Through Time: Short Trip On the Long Road of Aviation History, The Lockheed CL-1201 Flying Aircraft Carrier, June 10, 2010, (http://www.tailsthroughtime.com/2010/06/in-aviation-those-who-dare-to-dream-are.html), last accessed 4/22/2018. 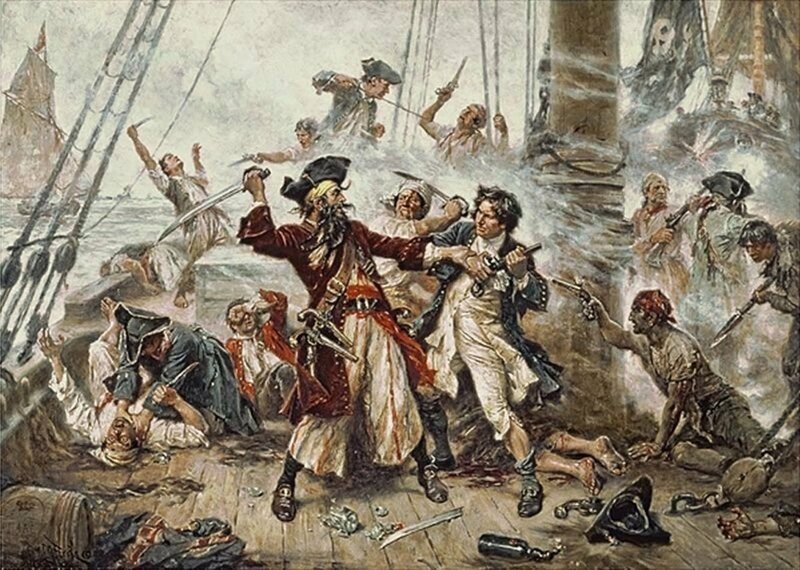 The Life of a Pirate: What They Ate, What They Did For Fun, and More! Thank you for reading and commenting. I remember hearing one story about the "question mark" where the young daughter of one of the crew was told her father was in that plane and for how long it was up there. She said it was "dumb". It goes to show you just because an idea sounds dumb doesn't mean it's not a good idea. Tom: "How can we increase the plane's flight time?" Albert: "We'll fly another plane up along side it and let out a hose and use that hose to pump more gas into it." It makes sense with interplanetary travel. The movie 2001 illustrated that well. A flying terminal sounds almost like a science fiction concept. The way that reality sometimes follows science fiction...who knows! Perhaps someday with interplanetary travel something like that will become reality. FlourishAnyway - Good question. They gave the term for the aircraft carried by other aircraft "parasite" aircraft. Fank Atanacio - I'm glad you like the photos. I will probably add some more in the future. Peggy Woods - I seen the flying terminal in an article a couple of decades ago. I believe it was in Popular Mechanics. It seems an impractical concept. Those refueling efforts in mid air are really something! The pilots truly have to know what they are doing to avoid mishaps. An idea of flying airport terminals is something that is certainly a new concept. I would take a guess that it never gets beyond the concept stage at least in my lifetime. entertaining and completely fascinating.. love the photos thumbnails.. and the information made me feel like a kid... awesome Robert.. Your knowledge is in depth and the material is new and fascinating to me. Can you define for me what a parasite aircraft is? Sorry if I missed that. I think it’s cool that some of these are your own photos, too!